Become a member of IUPAT DC-6 and get the benefits you deserve. IUPAT District Council 6 provides the world’s very finest and most comprehensive training to its apprentices. 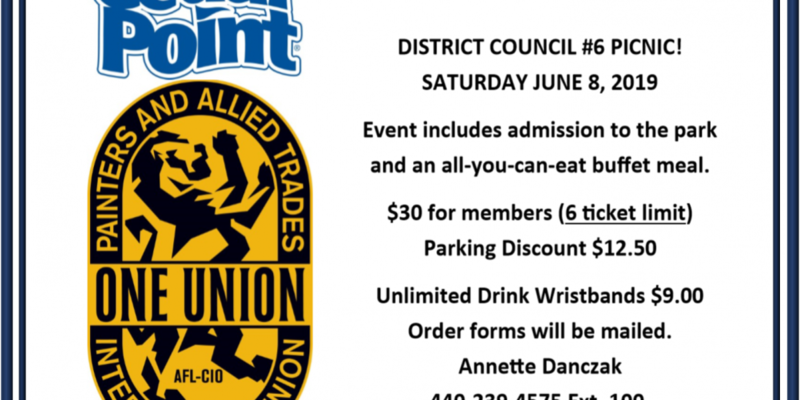 IUPAT District Council 6 works locally through each of our affiliated Local Unions throughout Ohio and Central Kentucky. We will stand shoulder to shoulder with any elected official, whether Democrat, Republican or Independent, who proves that the middle class is worth keeping around. IUPAT DC-6 provides the world’s very finest and most comprehensive training to its apprentices and journeymen, focusing on the highest safety standards and the most modern trade skills. Local Union Members Continue to Fight Addiction on Day of Community Action The IUPAT Community Action Day begins at 7:AM on Saturday, April 20th and is concluded whenever the projects are done. Local IUPAT members volunteer their time towards the projects ..
David Lay- newest Business Representative/Organizer out of Cincinnati/Dayton area District Council 6 would like to welcome David Lay out of Local 249 as the newest Business Representative/ Organizer who will be covering the Dayton and Cincinnati areas. David has ..
DC6 Cedar Point Day is Saturday June 8th Come spend the day at CEDAR POINT, the rollercoaster capital of the world! On Saturday, June 8th, DC 6 is having a council-wide CEDAR POINT day where members can purchase up to 6 t ..
District Council 6 wants to introduce Bo Anderson & Ron Nusbaum as the newest Business Reps/Organizers to join our team! CONGRATULATIONS to Bo Anderson and Ron Nusbaum- the newest Business Reps/Organizers for District Council 6. Bo Anderson is a devoted Glazier for the past 11 years out of Akron Loca ..
Sign up to ride along with your Business Representative/Organizer for a day DC 6 is starting a new pilot program for members interested in riding along with our Business Representatives and Organizers to see how much interest it draws. The duties of the Bu ..
Join our Team and become the next Business Representative/Organizer within District Council 6 District Council 6 will be accepting immediate resumes for Business Rep/Organizer within Cincinnati Local 123. 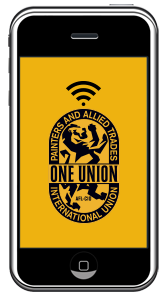 We are also accepting resumes for Business Representative/Organizer t ..
Sign Up to receive alerts on IUPAT DC6 news and events via your phone. Learn. Unite. Act. Msg&data rates may apply. To unsubscribe, text STOP to 797979 . For help text HELP anytime. Available in USA. Your privacy is always protected and your information will not be shared.